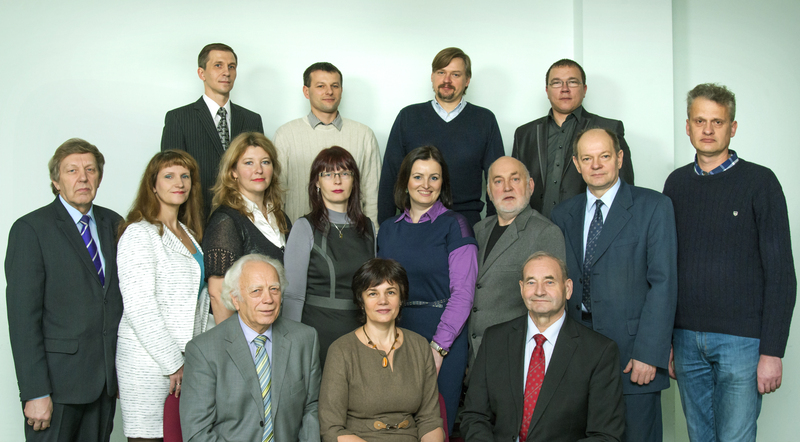 In 1922, 12 April at the University in Kaunas, Lithuania founded the Department of Geodesy. However, the origins of Geodesy studies reach the much previous times. They launched at the old Vilnius University. In 1969, after establishment of the Vilnius Civil Engineering Institute, the Geodesy Department moved to Vilnius and continued its activity is connected with Vilnius Gediminas Technical University, Environmental Engineering Faculty. Department of Geodesy and Cadastre prepare Geodesy, Geodesy and Cartography specialists of first and second university studies stages. The sciences of geodesy and cartography in Lithuania date back to the times of the Grand Duchy of Lithuania. In 1826, the Department of Geodesy was founded at Vilnius University (VU), on which the current Department of Geodesy and Cadastre at the Vilnius Gediminas Technical University (VGTU) is based. After the uprising of 1831, the VU was closed, and the activities of the Department of Geodesy were stopped. Although these dates of more than 170 years are more of a historical significance, they are certainly meaningful even for the later Department of Geodesy (now Department of Geodesy and Cadastre), as supporters of the old department school traditions, the continuity of which is associated with the reconstitution of the University of Lithuania. On March 22 1922 the Council of the Reconstituted University of Lithuania established the Department of Geodesy. In 1930 at Kaunas Vytautas Magnus University (VDU), the Department of Geodesy was merged with the Department of Roads and renamed the Department of Geodesy and Roads. In 1940 VDU was named Kaunas University. On August 15 1940, the Faculty of Construction was established which contained the Division of Geodesy. On the 1st of October 1940, the Department of Geodesy and Landuse was divided into two departments, the Department of Geodesy and Astronomy and the Department of Landuse. In 1969, Vilnius Construction Engineering Institute (now VGTU) was established. The Department of Geodesy was moved to the city of Vilnius and its further activities were associated with this higher education intitution. Currently, the Department is under the Faculty of Environmental Engineering. In 1997, the name of the Department was changed to the Department of Geodesy and Cadastre. The department heads to present date are: Assoc. Prof. A. Ražinskas (1969-1980), Assoc. Prof. V. Tulevičius (1980-1990), Assoc. Prof. A. Zakarevičius (1990-1995), Habil. Prof. J. Skeivalas (1995-1998), Assoc. Prof. E. Paršeliūnas (1998-1999), Habil. Prof. A. Zakarevičius (1999-2005), since 2005 – Assoc. Prof. V. Č. Aksamitauskas. By 1991, 858 engineers of geodesy had been prepared under the one-step study programme. In 1990 Vilnius Technical University (VGTU now) introduced a two-step education program. The first step being to obtain a Bachelor of Engineering, while the subsequent second step being to obtain a Master of Engineering. During the period between 1997 and 2009, the department produced 512 bachelors and 209 masters in measurement engineering. Since 1996, geodesy specialists have been prepared in both the orientation of Geodesy and Cartography and of Real Estate Cadastre. The first bachelors in the orientation of the Real Estate Cadastre obtained their degrees in 2001. The achievements of Lithuanian geodesist have been acknowledged in Lithuania as well as internationally. In 1997, Prof. Michael Kosčiauskas, graduate of the first class in geodesy engineering in the country and considered the patriarch of Lithuanian geodesy, was honored with the fourth degree order of Lithuanian Grand Duke Gediminas for services to the higher education. A former scientist of the Department of Geodesy, Habil. Prof. of Kaunas University of Technology Dr. Zigmas Tamutis was awarded the Lithuanian State Science Prize for the design and organization of the geodetic networks in 1996. In 2000, Habil. Prof. Dr. Vincas Vainauskas became a laureate of the Lithuanian Scientific Prize for the cycle of works "The development of theory and practice of geodesy, photogrammetry and cartography sciences". In 1986 during the solemn session of the 18th Congress of the International Society of Photogrammetry and Remote Sensing in Vienna, Prof. V. Vainauskas was awarded the Eduard Dolezal Prize. This prize is granted to researchers acknowledged for the development, education and training in photogrammetry, remote sensing and geographical information systems. In 2007, P. Petroškevičius, J. Skeivalas, A. Zakarevičius, E.K. Paršeliūnas were awarded the Lithuanian Scientific Prize for the work cycle of applied scientific activities "The development and application of the technologies for the creation and development of Lithuanian geodesic base at European level." In 2010 the Lithuanian Scientific Prize was granted to V. Ginočius for the work cycle "Measuring systems of precision mechatronics: investigation, creation, application."